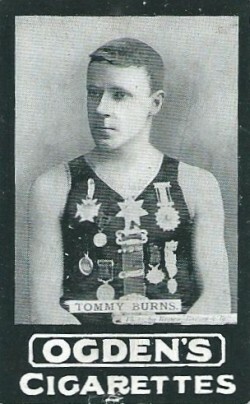 Thomas ‘Tommy’ Burns was born in Liverpool around 1867 and in the next 30 years, he achieved worldwide fame for his sensational feats of skill as a high diver, swimmer and athlete. He was a showman and entertainer and at the height of his professional career, he was the star attraction at the Royal Aquarium in London, thrilling Victorian audiences by diving 100 feet into a shallow tank of water. Tommy’s love of water blossomed from the age of nine when he learned to swim in a clay pit at Cabbage Hall – now known as Walton Breck – in Liverpool. In his teens, he became captain of Sefton Swimming Club and at one time was an attendant at Margaret Street Baths. He excelled at many sporting activities and by the age of 21, he had collected 400 awards for diving, swimming, running, walking and boxing. He is reported to have saved 42 lives and held medals and awards from the Liverpool Humane and Shipwreck Society and the Royal Humane Society. Tommy Burns was fearless and honed his skills by diving from bridges where crowds of up to 20,000 would gather to marvel at the breathtaking performances of the man known as the ‘Champion Diver of the World’. In 1889 he made his first recorded bridge dive at Runcorn about 18 miles upriver from Liverpool where he plunged 85 feet into the Mersey. In the next few years he gave at least four repeat performances at Runcorn and also dived off the Forth Bridge, Tay Bridge, Jamaica Bridge in Glasgow, London Bridge, O’Connell Bridge in Dublin, and a string of other structures. He went to elaborate lengths to outwit police and railway officials who often tried to stop his antics. As a result, he became a master of disguise, dressing as a farmer, miner, newsboy, old woman, and a female market worker to avoid the attention of the authorities. Sometimes, he succeeded in diving from bridges only to be arrested as he left the water, and on other occasions, he would manage to dodge his pursuers. He appeared in court many times and it wasn’t unusual for cases to have their lighter moments. One such hearing took place in Dublin in August 1890 when Tommy was arrested after diving off O’Connell Bridge into the Liffey. His ‘manager’ Harry Montague told the court that the police had treated Tommy ‘very kindly and allowed him to take brandy’. The magistrate commented:’Indeed, I think he must have required it after being ten minutes in the Liffey.’ There was laughter in court and Tommy was let off after promising not to do it again! Tommy Burns died at the age of 30 when a simple dive witnessed by 3,000 spectators went badly wrong in North Wales where he had been hired to make a series of appearances in the summer season. His fatal dive was recorded by professional photographer Robert Morris Evans and a print displayed at his premises – Magnet Studio in High Street, Rhyl – on the evening of the tragedy. According to the Rhyl History Club website, the photograph attracted great interest and ‘throughout the evening it was almost impossible to pass the pavement by Magnet Studio, so great was the crowd of persons anxious to see the picture’. It is now among millions of important photographs from history catalogued by the National Archives in Kew which has kindly granted permission for publication here. The sensational method of Tommy Burns’s death yesterday at Rhyl was in unison with his dare-devil exploits all through his life. The ever popular Tommy was one of those erratic geniuses who are never content unless bent on extraordinary enterprises. Had he chosen the profession of arms his courage and coolness must have won him long ago the coveted honour of the Victoria Cross. He had all the rough material in his composition out of which heroes are made. I know of numerous brave actions of the ill-fated diver, and herewith remit you 10s 6d [about £57 in today’s money] towards a subscription for Tommy’s widow, and I feel confident that if you will accept contributions many will be sent to you for the widow of the unfortunate swimmer, who had no knowledge of fear, and who by many sterling and manly qualities had endeared himself to numbers, he being always ready to give a hand in any good cause. It is surely only fair that this is kept in mind. Many a man has got a monument for less. But for Tommy, there was to be no monument or memorial to honour his achievements and memories of the one-time local hero faded. Just two weeks after his funeral, a controversial view of Tommy Burns appeared in the following obituary by an unattributed author quoted in the Sheffield Weekly Telegraph (24th July 1897). The tragic death at Rhyl of Tommy Burns, the bridge jumper, elicits from a Scotch contemporary the following obituary notice:—The Fate of a Fool. —The fate of Tommy Burns, the high-diver, is not a thing to weep over. He follows Webb, the swimmer, and many other men of pluck and nerve, whose good qualities were spoiled by personal vanity and injudicious public adulation. His fate forms a curious contrast to that of Blondin who carried on an equally foolhardy and unnecessary occupation, but acted on sound principles and with due precaution, and consequently lived to a long age. 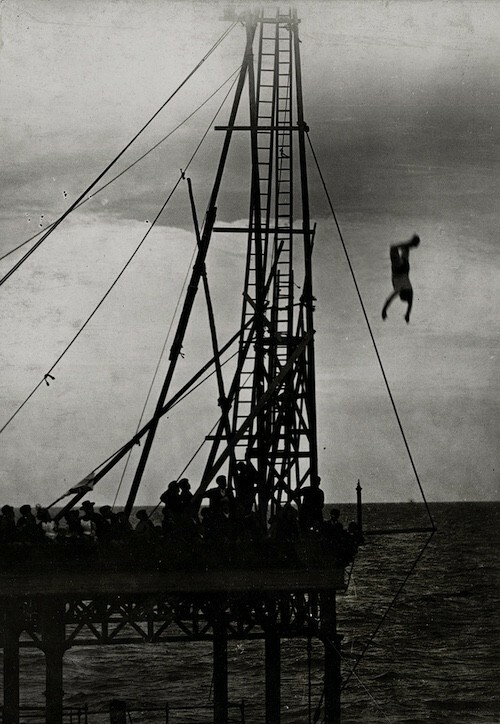 Burns claimed to be “champion bridge-jumper and high-diver of the world”, and he has died in the exercise of his calling. He had engaged, it is stated, to give a swimming and diving exhibition at the pier at Rhyl, and afterwards to run six miles and dive from a height of 100 feet. Whether he carried out the other parts of the programme is not quite clear, but he certainly did the high dive. If it be true that the man was, as reported, in “an advanced state of intoxication” at the time the people who had charge of the exhibition are surely very much to blame for allowing him to carry out his foolish feat. There was a strong wind, with a high sea, and under such conditions even the most expert diver, when perfectly sober, was running a serious and quite unnecessary risk. Burns seems at the crucial moment to have lost control of himself, for he turned in the air while 20 feet from the surface of the water, and fell flat on his back. Though he must have been terribly stunned, he was still able to swim for half-an-hour. But he must have been slowly dying in that half-hour, and when at last he was removed from the water life was extinct. It was a wretched end for an extremely foolish man. But it is quite unnecessary to adorn the tale with a moral. 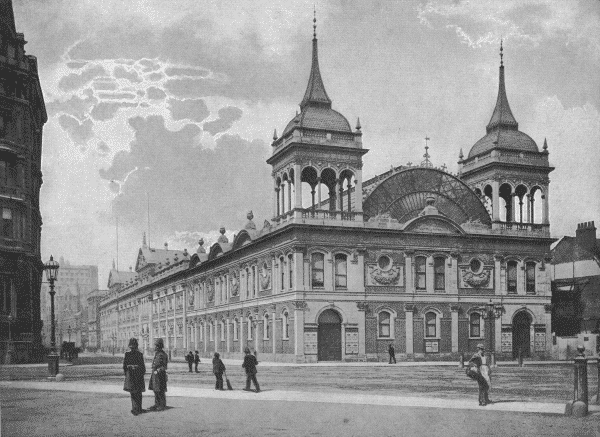 LONDON AQUARIUM: Victorian palace of entertainment where Tommy Burns topped the bill at the height of his career. The photograph is from an 1896 book – The Queen’s London: a Pictorial and Descriptive Record of the Streets, Buildings, Parks and Scenery of the Great Metropolis.